You are here: Home / Uncategorized / Hot Toys ‘R Us deal on Beauty and the Beast! In my opinion, Toys ‘R Us once again has the beast deal on Beauty and the Beast, which will be released on Tuesday, October 5th. The Blu Ray/DVD combo will be priced at $22.99 (this includes a regular DVD if you don’t have a Blu Ray player). Don’t forget to print out your $10 off coupon here (you do have to register for a Disney Movie Rewards account, but registration is FREE!) If you just want to buy this movie, it will be $12.99 after coupon. There are a few other scenarios that may be worth your while, though! NOTE: Online, there are specifics stating that the tea cart is free with any Disney princess doll or play set purchase. The movie is excluded. The ad does not exclude the movie, but YMMV on getting this deal to work in store. 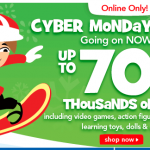 **There is also a coupon where you can earn $10 in Geoffrey bucks for every $75 you spend in the store Keep in mind that this is based on pre-coupon prices!! *There is a $5 rebate offer when you buy the Beauty and the Beast Blu Ray/DVD combo or Toy Story 3 Blu Ray/DVD combo and 3 participating Campbell’s condensed kids soups or Spaghetti-Os. There are printable coupons for the Spaghettio-Os and the kid soups here. You should be able to get these items for pretty cheap with coupons and sale prices and you have until 1/31/11 to complete the rebate! 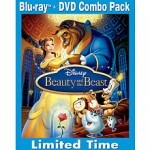 *There is a $5 rebate offer when you buy 2 Western Bagel products and the Beauty and the Beast combo pack. This one allows photocopies of receipts, so you can do this deal and the deal above. If you pre-order Toy Story 3, this could end up making Beauty and the Beast a moneymaker for you! 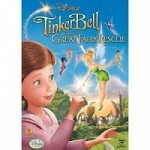 *If you purchased Tinkerbell and the Great Fairy Rescue, you can get a free charm bracelet from Disney here. Then, you can also get a free rose charm for purchasing Beauty and the Beast. *At my Walmart store yesterday, they had signs up saying that there would be a code for a free ticket to see Tangled (the new Disney Rapunzel movie) inside the Beauty and the Beast combo packs. I am assuming these will be pre-packaged in all of the Beauty and the Beast combo packs like they were with Toy Story 1 and 2, but I guess we’ll have to wait until the movie actually is released to find out for sure. 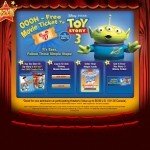 The Best Deals on Toy Story 1 and Toy Story 2! My TRU did not know about an instant $10.00 off for the Toy Story 3 preorder. They are offering the same type coupon as Beauty and the Beast, $10.00 off a future blu-ray purchase. Is the instant promotion advertised somewhere? When you pre-order Toy Story 3 and buy another Disney movie at the same time, the register automatically deducts the $10. I believe it says this on the pre-order card (I know it did with Beauty and the Beast). People have already done this successfully because they pre-ordered Toy Story 3 instead of Beauty and the Beast when they bought the Tinkerbell movie and it worked.